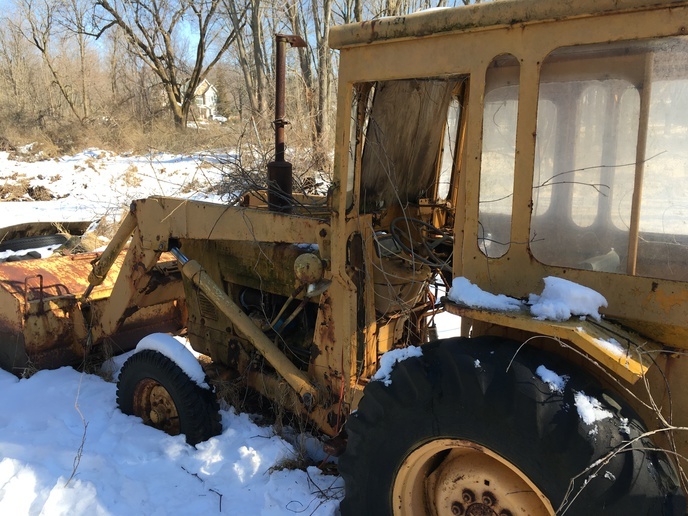 Recently acquired old Ford tractor from estate, has not run since 2006, no paperwork, trying to determine what I have gotten myself into. 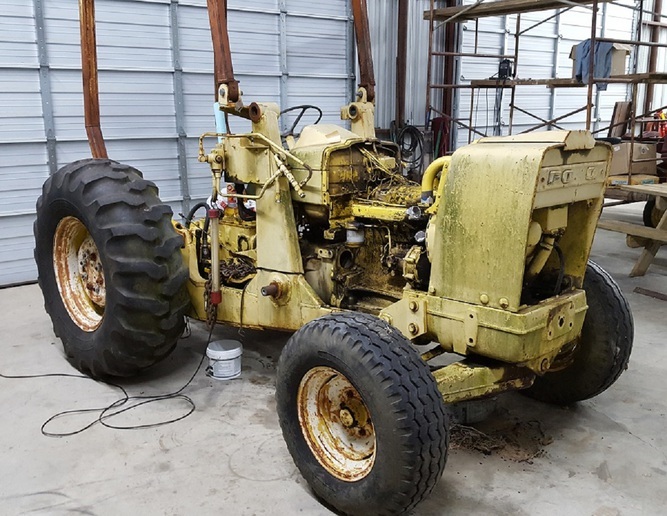 Model D5017P, date code 0C18B. Any idea what this is and where to get a manual for it? (quoted from post at 22:23:44 03/13/19) got pics? time in many years, let me know if any suggestions. The model, serial and production date numbers are hand stamped on the top of the clutch housing just behind the starter. However loader frames make it hard to see those numbers. Thanks, I will look for those stampings and confirm. Looks like it could be a 4500 industrial. 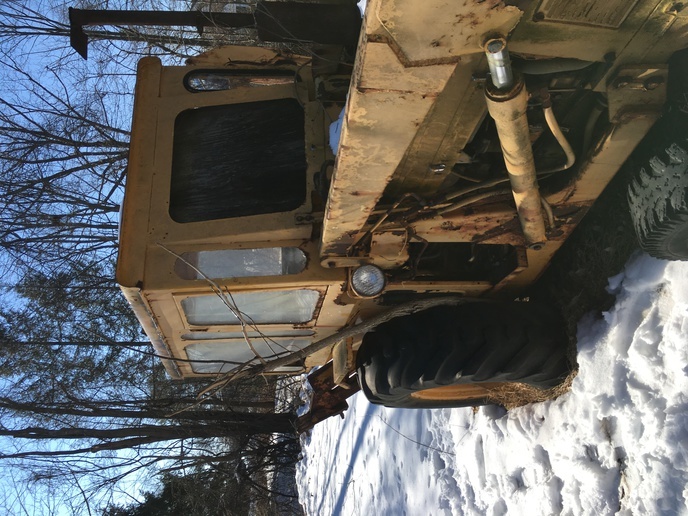 Ok, so it turns out my new tractor is definitely a 1970 Ford 4500 industrial, diesel, no pto, 4 speed automatic. 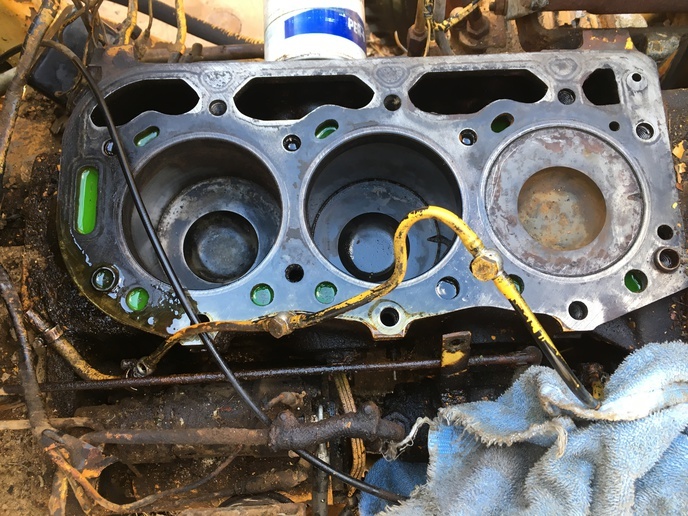 I drained almost a quart of water out of the crankcase, will change oil and filter as well. Just to see if the motor is frozen I attached a car battery, and although the starter engages, the engine would not budge. Is there a straightforward way to try to manually rotate the crankshaft so I can break it loose? Or do I need to take off the injectors and oil the cylinders? It seems like the alternator may be frozen too. Not sure about the power steering pump. But my first priority is to confirm that the pistons will move inside the cylinders. Any ideas? Since the engines stuck I'd get a small bore scope, pull the injectors out and look into the cylinders. If they are very rusting you could also have some stuck rings, only way to fix that is tear it apart. 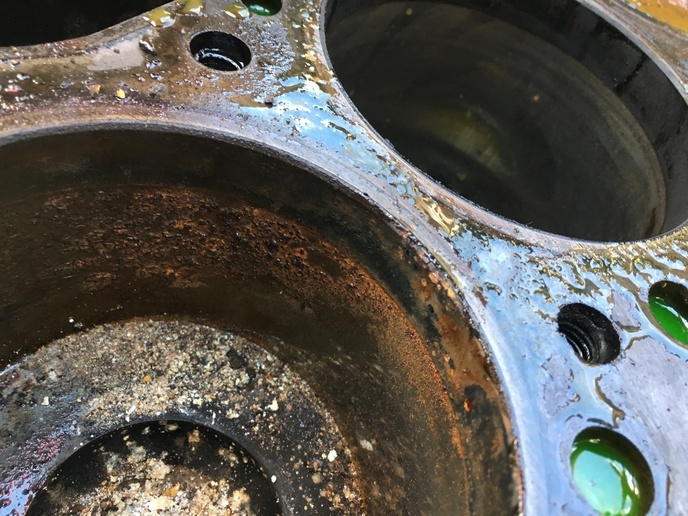 If not rusty pour a generous amount of your favorite penetrating oil in the cylinders and let it soak, then see if the engine will break lose. Makes sense, If I cannot free it up I will pull the injectors and have a look. I may try a stronger battery first, could be the car battery just was not strong enough. First I will loosen the alternator to eliminate that issue. Hope to get back to it this weekend. Another thing to take loose is the hydraulic pump drive that's bolted to the front of the crank pulley. Also loosen the transmission suction screen or drain plug "not sure which that trans has", and check for water, you don't want to be pumping water thru the trans oil circuit. 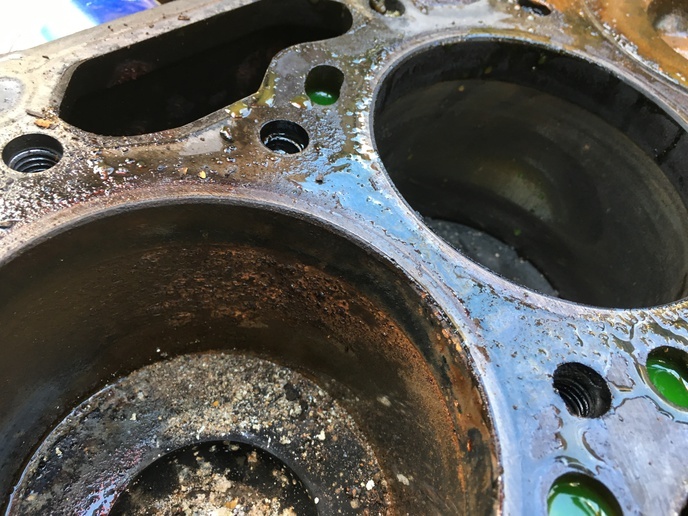 I took the head off and found rust on about 3 square inch area of cylinder 1 and in rusty goop in the piston well of cylinder 3. That explains homework it will not turn over. See pix. Cleaned it up with a rag, and now am soaking with pb blaster and marvel mystery oil. Any thoughts on best way to proceed?